We present you with this rose, but don’t pretend you’re surprised. The Bachelor TV show has been renewed for season 22 on ABC. Though most of the relationships on the show don’t last, ABC’s relationship with this series keeps going on and on. Chris Harrison hosts the “reality” dating series. 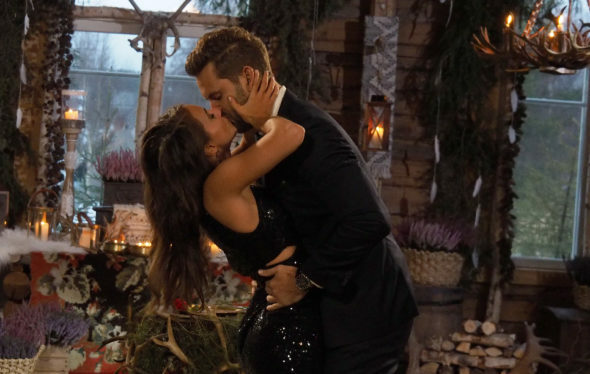 In its 21st season, the series centered on Nick Viall, who had previously courted Andi Dorfman and Kaitlyn Bristowe, on The Bachelorette, and had also failed to find love on Bachelor in Paradise. The 21st season of The Bachelor averaged a 2.32 rating in the 18-49 year old viewer demographic, and drew an average total audience of 7.274 million viewers. When compared to the other ABC TV shows we track, The Bachelor ranks first where the demo numbers are concerned, and second, in terms of total audience size, so the renewal was a no-brainer. What do you think? Are you still watching The Bachelor TV series? Will you check out the 22nd season on ABC? Let us know, below. I would never watch garbage like this show, but I would watch it if they brought back Chris Soules, the 2015 star of the show who was just charged with felony hit and run and who had previous drunk driving arrests. Just what those ladies deserve.